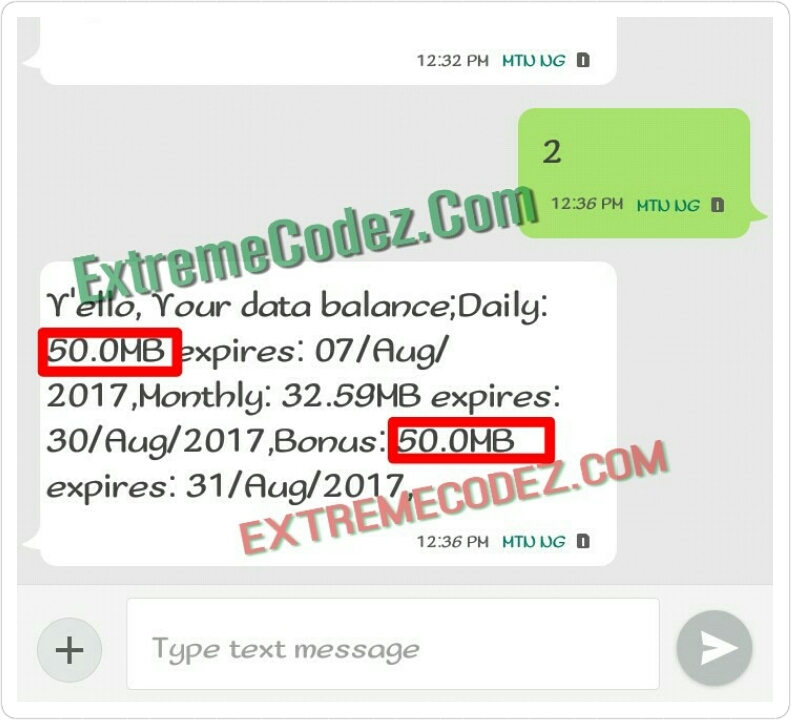 We hope you guys have not forgotten about the MTN double Data Bonus that you can get double of any data purchase on Mtn network when you only buy new smartphones before a way was leaked on how to also get the 100% double offer with IMEI number tweaking. But right now there's a new method to get MTN 100% Double Data bonus without stressing yourself in tweaking IMEI number. This should really do those using phones that are very stubborn to be tweaked, good and those that are afraid of changing their phone's original imei thinking it will damage their phone network coverage. It will also be a good news for iPhone users as they can now enjoy the mtn double offer without tweaking IMEI number. MTN double data offer has been around for a long time now but they recently reduced the bonus from 100% for 6months to just 20% for 3months in some phones and also stopped it on other devices. You can also enjoy the double offer because it won't require having an MTK device, rooted device neither downloads MTK engineering tools for you to acquire the 100% double data offer. So let get started! » First message: "Sorry, The Command you have entered is incorrect." » Second message: "Y'ello! Your request has been received and is being processed. You will receive a response shortly. Please don't resend your request. Thank you!" » Third message: "Dear Customer, Enjoy data offers on MTN Deal zone, Dial *131*1#"
After receiving the third message, you can now purchase your data plan by dialling *131*1# and enjoy your 100% double data bonus. To check your data balance dial *131*4# or send 2 to 131 to check your data and bonus data balance. IMPORTANT: If you receive the third message that means your SIM is eligible. Once you receive the third message, you can start with small data plans such as the 50mb for N100 and check the balance, if the bonus is there, you can proceed to other bigger plans. If it wasn't given, then this post is not for you or get another sim and come back to this post. Don't forget to drop your comment if this helpful and also don't just read and go kindly share the good news to your friends by using any of the share buttons below. 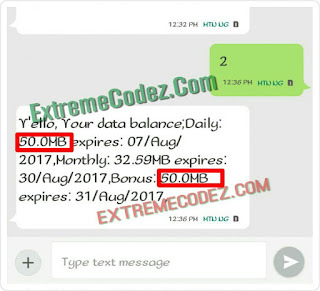 How To Activate MTN 100% Double Data Offer Bonus Without IMEI Number Tweak Now here is a new method to get MTN 100% Double Data data bonus without stressing yourself in tweaking IMEI number. password and use it only for your e-mail account. essential steps the serious real estate investor should follow.